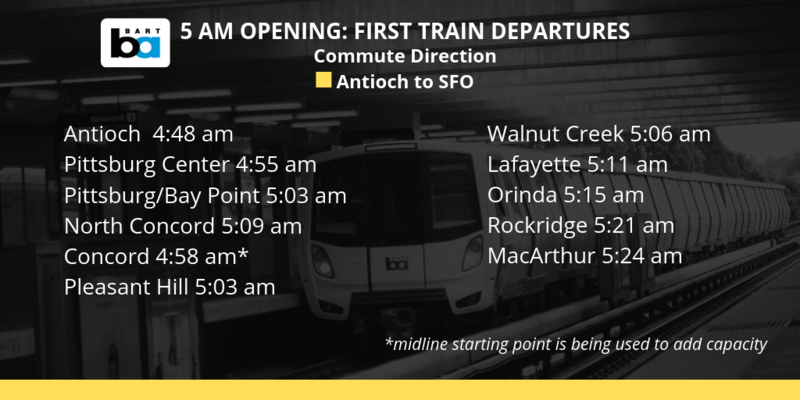 As we get closer to the February 11, 2019 systemwide shift from a 4 am to 5 am start of service, many BART riders want to know exactly when the first trains will depart once the schedule change takes effect. 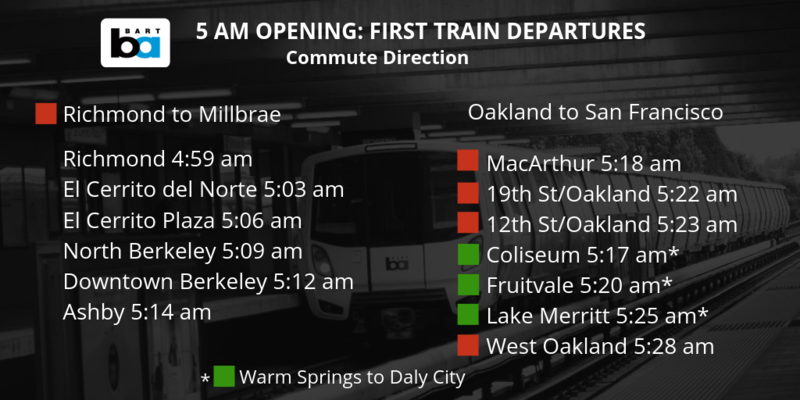 For the first time on weekdays some trains will begin from midline stations (Concord, South Hayward and Daly City) to ramp up service and get riders into the core of the system more quickly. 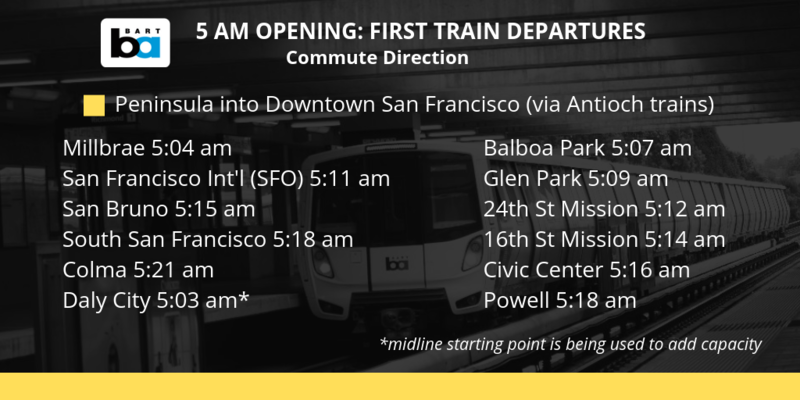 All early morning trains will be long with the first East Bay train arriving at Embarcadero Station at 5:35 am. Train times can be found on the schedule by station and schedule by line sections of our website. 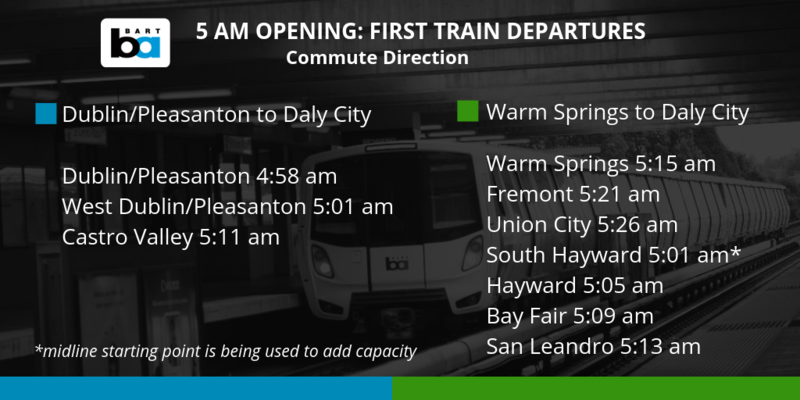 For more information about the project and the Early Bird Express bus service that will replace trains in the 4 am hour, visit bart.gov/earlybirdexpress. Below are the first train times for riders heading in the peak commute direction for each line. We’ve also attached a station by station list of the first train times in all directions. The information below are pictures, you may need to download based on your email settings.